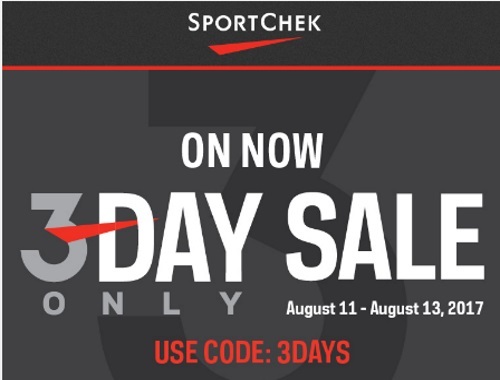 Sportchek has a 3 Day Sale on now! Save 25% off shoes and clothing and 10% off already reduced items. Enter the promo code 3DAYS at checkout online to get the discount. Offer is valid August 11-13, 2017 only.